During fall and winter it is not infrequent to see a feeding frenzy suddenly form on Lake Havasu. Typically each feeding frenzy will only last a short time, but they can occur frequently while the fish are running. The actual run of fish that caused it may be in the area for weeks and the birds will typically stay with them. 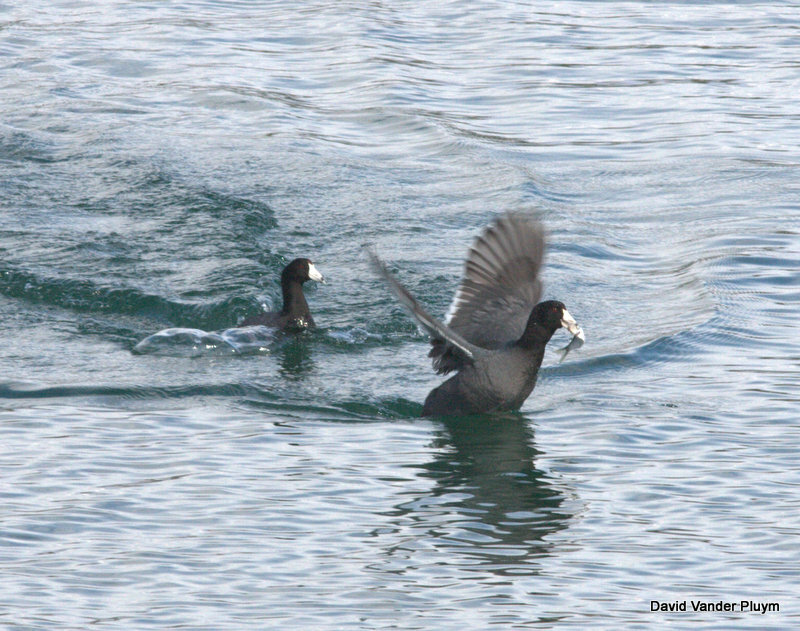 These runs of fish often attract excellent numbers and diversity of waterbirds. The Colorado River once supported a thriving fish community mainly of species in the sucker and minnow families, however these species are not responsible for the fish runs that attract birds. With the creation of the dams the fish community was altered and several species that were formerly common in the LCRV are now endangered. It was not just the change in habitat that affected the fish communities, part of the reason the dams were built was to provide “recreation”, which includes sport fishing. Several species of sport fish were introduced and the LCRV provides great fishing, I’m told. With native fish populations in decline the introduced fish needed something to eat and we come back to the issue at hand. 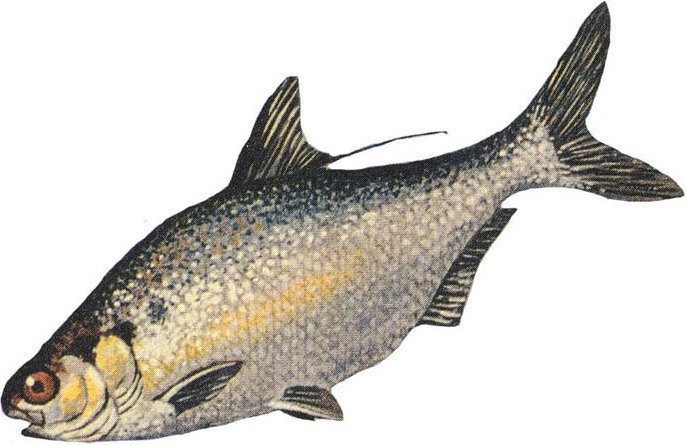 Let me thus introduce the Gizzard Shad. This small fish, believed to be a favorite for several species of sport fish, is now common along the river below Davis Dam. The shad are a schooling fish and large groups of them are typically present in the late fall and through the winter. Driven to the surface by larger species of fish, such as striped bass, these schools can become available to wider variety of birds. These schools of shad may be present in an area for a few days or a few weeks, and they can attract large numbers of birds, including rarities, so they are always worth checking out. 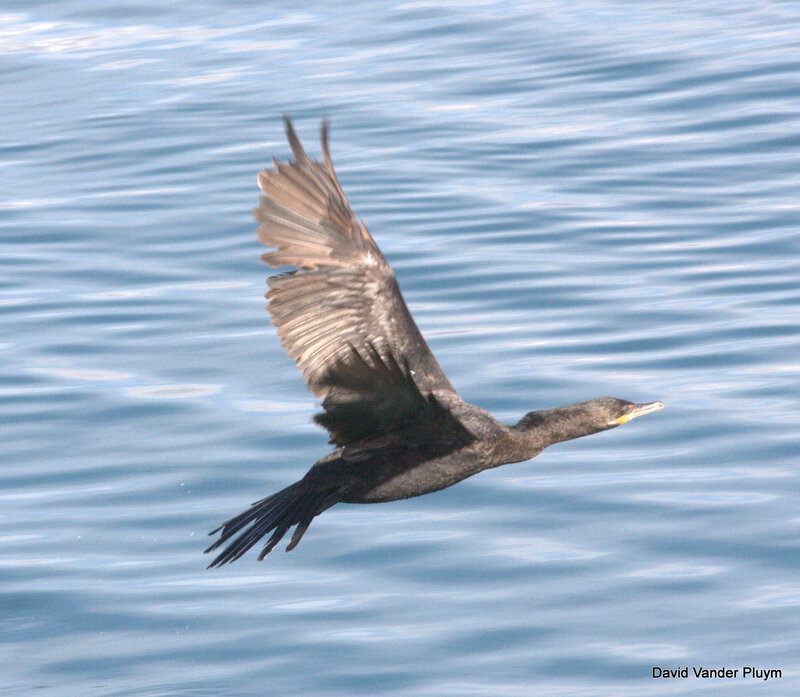 As the schools of fish move around and as they are infrequently pushed toward the surface, the number and diversity of birds will vary even within a few minutes. If there are good numbers of birds around and a lot of activity it is often best to just sit and watch, you never know what might come in. Two of the sites on Lake Havasu that most frequently have these runs are the Bill Williams Arm and Site Six. One such run has been going on for a couple weeks now at Site Six and because the lake is narrow at this point it is a great place to see birds close in as well as on the California side. Today I was finally able to get out to Site Six with Lauren Harter and see the run in action. 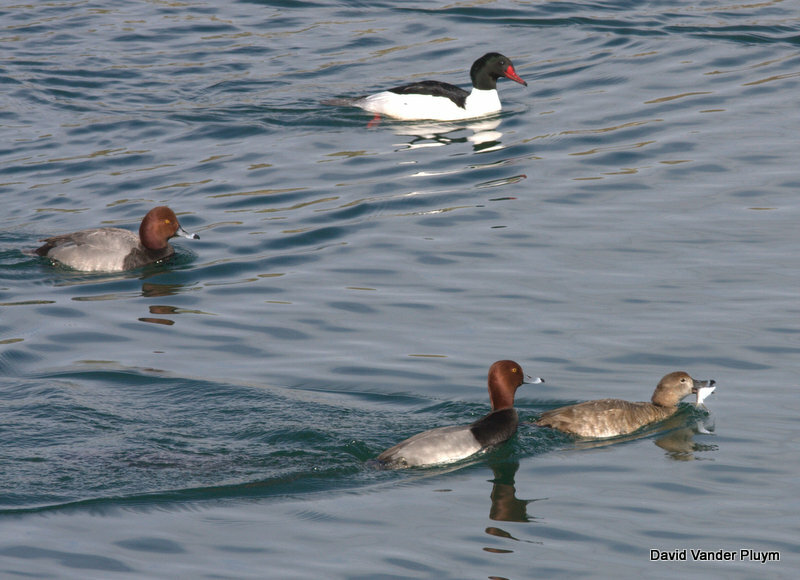 It was great to watch the Common Mergansers and Ring-billed Gulls converge suddenly on the same patch of lake. It was also interesting to hear the Common Loons. One bird was starting to sing, the first I have heard this year. We also heard them making a low call, likely the “hoot” call that is used in aggression. American Coots are always interesting to watch, as they are actually quite aggressive and frequently engage in kleptoparasitism. Often they go after each other as well as larger species such as Ring-billed Gull, Common Merganser, or anything else with food. Its hard to say how successful they are at this as they will also catch their own fish. As with anyplace, when good numbers of birds and food are present this often attracts rare species. Today was no exception with two Pacific Loons (up to four have been present here in the past few days) and a Neotropic Cormorant on both sides of the river. 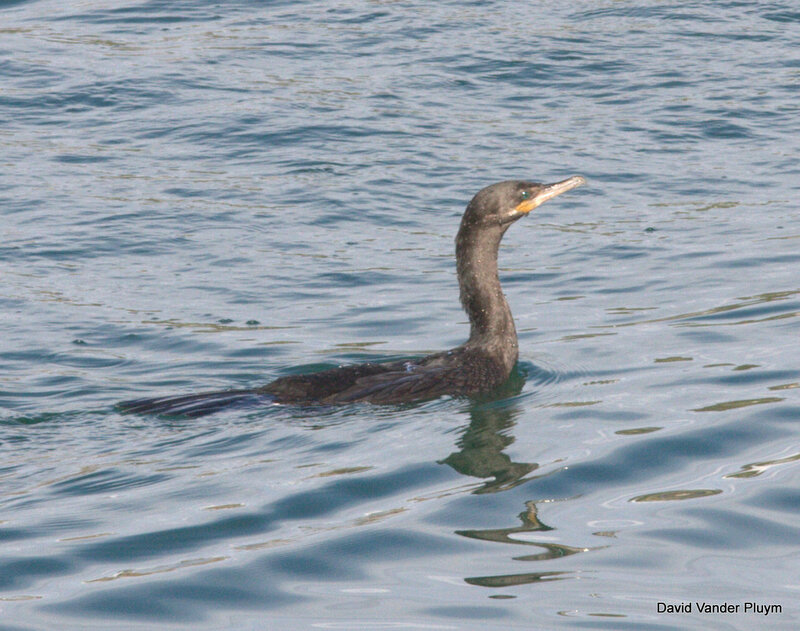 Neotropic Cormorant is a rare species on the river and a review species in California. Reports are increasing and they one day may become regular along the river. This particular individual was found at Site Six on 6 Feb 2013 by John West . One of the more interesting aspects of this flocks is the species diversity that will join in. Along with the more expected species, sometimes a Great or Snowy Egret will sally out and actually (sort of) dive into the water after fish! Other species that you don’t think of as fish eaters will also on occasion join in. Today we saw Redheads diving and catching fish. I hadn’t seen this before and wondered about it so I checked the Birds of North America account. They mostly eat plants and invertebrates and will dive to get them, depending on water level, but the account made no mention of fish being taken. Like most species though, if a sudden easy food source appears, they will exploit it! Interestingly we only noticed females catching and eating the fish. It will be interesting to find out if fish are regularly taken or if this truly was a case of opportunistic feeding. An introduced fish, the Gizzard Shad has not only brought sport fishing to Lake Havasu, but has also helped to change the make up of waterbirds present. With the intention of feeding larger fish, the shad also helps to attract and feed good numbers of birds that would otherwise not be found in a desert riparian ecosystem! Updated 15 Feb 2013: Going back to Site Six we observed male Redheads also eating shad, along with both sexes kleptoparastising both American Coots and other Redheads. I haven’t done a full research search, but the only mention of Redheads eating fish that I have found is from William Dawson’s The birds of California 1923 where he mentions that they eat minnows. 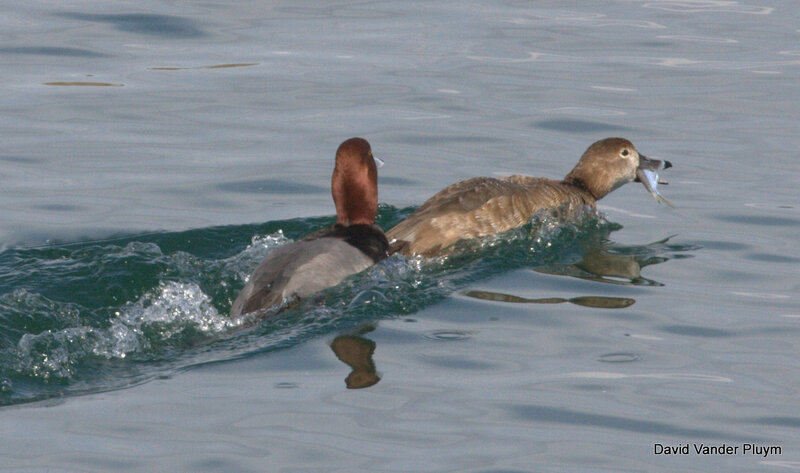 This entry was posted in Lake Havasu, LCRV, Mohave County, Vagrants and tagged Colorado River, Common Merganser, Ecology, Fish, LCRV, Neotropic Cormorant, Redhead, Shad. Bookmark the permalink. Nice behavioral observation and documentation! I’ve never seen Redheads take fish before either, and those shad aren’t the littlest of minnows. This new information is…hard to swallow. Very enjoyable article, David. I sat down expecting to read a bit about birds and ended up receiving a lesson on the ecology of the area, including notes on the anthropomorphic consequences of alteration. Thanks for a great and informative read!